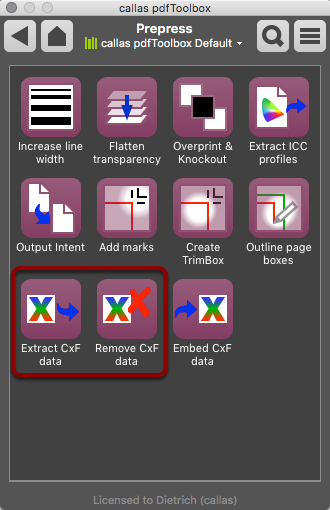 The presence of CxF information is indicated at the bottom of the pdfToolbox window. 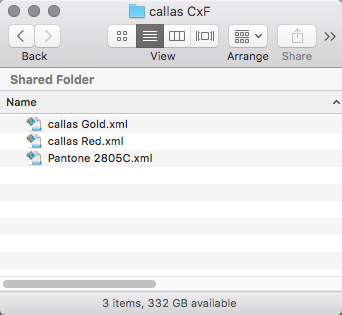 If you extract CxF data you are asked for a folder in your file system. 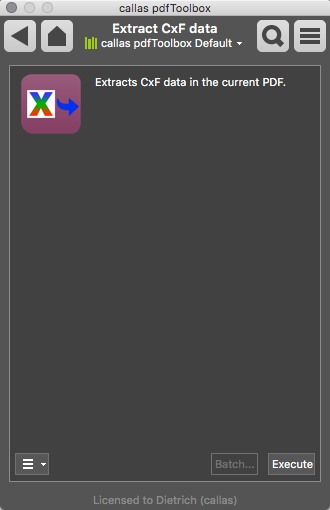 For each CxF information in the PDF an XML file is created in that folder that has the name of the spot color that it represents. 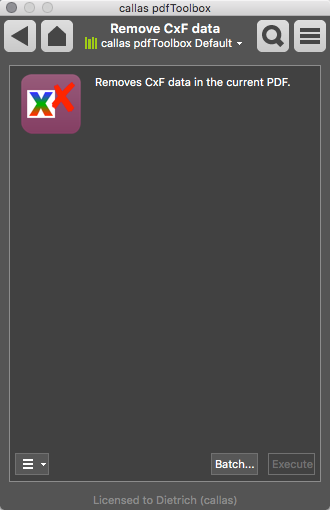 You will be asked for a location to save the new PDF to.